Soft Soap Release - Industrial Plasters Ltd.
Soft Soap release agent used on plaster moulds when casting in plaster. Watered down and applied in layers until a smooth surface is achieved. 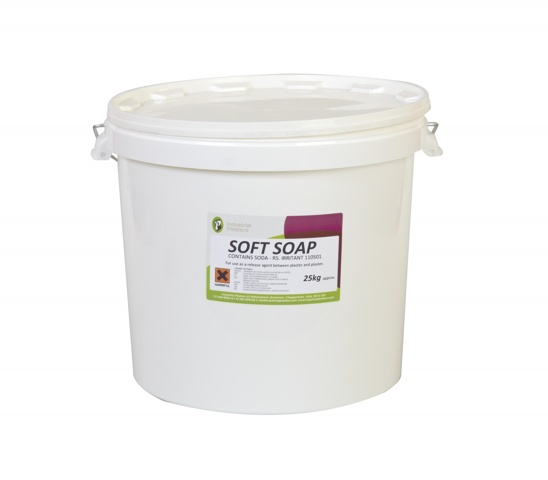 Mix 50% boiling water to 50% Soft Soap and allow to cool before use. Apply approximately three times by brush or sponge, wiping the soap off carefully with a sponge and allow to dry after each application. Also known as Mould makers size.